&#8216;Surplus&#8217; Humans: Do They Exist? ‘Surplus’ Humans: Do They Exist? Is there really any such thing as a “surplus” human—for example, a surplus worker as a surplus human resource or as a member of a broader surplus population? If there is, don’t assume it means the same thing as “too many”. To say that ecologically and economically there already are or soon will be “too many” of us may seem to suggest these are “surplus” humans and that ecological and economic surpluses are intertwined, if not two sides of the same coin of excess. Too Many, But Not Surplus? But, be careful. The suggestion that “too many” humans in one sense is equivalent to a “surplus” in another sense is inaccurate, since it is entirely theoretically possible that we may need every available pair of hands on an over-crowded, unpleasant, straining Earth—even if we don’t need every mouth—to keep the global economic engine humming or merely for all of us to survive. Here’s why they are not equivalent concepts: Imagine a future, dystopian post-industrial global regression to a variant of “Mad Max” pre-industrial hunting and gathering. Ecologically, there may, in that scenario, be too many of us relative to the carrying capacity of the environment or relative to our cravings for comfort, space, fresh water and privacy, yet no surplus in an economic sense, if productivity per person plummets, thereby requiring many more hands per task—including the tasks required to boost the carrying capacity of the environment or reduce our demands on it. In short, it seems “surplus” in any ecological sense does not imply “not needed”, “too many” or “surplus” in any economic sense. Likewise, “too many” does not mean “surplus”. Whatever credibility that can be ascribed to this dystopian vision of a super-abundant nonetheless useful supply of “talent” is supported by the economic axiom that human needs and wants—and the imagination to meet them—are limitless, even if the perceived available resources aren’t. The pre-recession 2007 feel-good self-help guide, God Wants You to Be Rich: How and Why Everyone Can Enjoy Material and Spiritual Wealth in Our Abundant World was predicated on such optimism: Resources are “fractal”. Just when it seems there is nothing left but waste or otherwise useless things, like “useless” sand eventually used to make glass, we find new uses for them, and create new industries and jobs. From their waste or byproducts, we find new resources at another quasi-fractal level. Indeed, it may be argued that, from the economic standpoint, the imbalance problem is one of temporary job or imagination shortages, not a problem of human surpluses. As for being surplus from an ecological standpoint, the notion is problematic, since it anthropomorphically presupposes that Mother Nature, Gaia or simply the Earth’s environment mystically and mysteriously has “needs”, on the assumption that a surplus is an amount greater than what is “needed”. On the other hand, “surplus” also means “more than can be used”—“leftovers” or “reserves”, so to speak. But ecological systems and the creatures within them eventually use everything organic, one way or another. Again, even if there are “too many” organisms in a niche for comfort, safety or long-term survival, this is not equivalent to either notion of a surplus. 2. they had no possible use. In case #1, i.e., being more than enough to meet Shoe Mom’s needs, it doesn’t logically and automatically follow that the surplus would be a “bad thing”. Imagine having a surplus of dollars or wives far in excess of what your needs require. That still leaves your desires—which, again, accordingly to classic economic theory, are countless, whether current or potential. In reply to #2, given ample desire and sufficient imagination, it is unlikely that we cannot find a use for anything and everything, even “surplus” kids, e.g., as family “interns” taking on newly-conceived chores and challenges. The fact that those children might prove to be too costly or unable to have their own needs met does not make them surplus—in either ecological, economic or nursery-rhyme terms, if we think of a nursery-rhyme shoe as an environmental niche or mini-economy. Compare a gas-guzzling SUV out of gas at the only and overpriced pump in some scorched desert: Even if its need for gas cannot be met given the out-of-reach, extortionate price, the SUV still isn’t “surplus”, even if, in the heat of the scorching moment, it seems useless. In any case, it is very important to notice how negatively loaded “surplus” is emotionally and conceptually when applied to us, but not to, say, balance of trade figures, personal bank balances or energy. 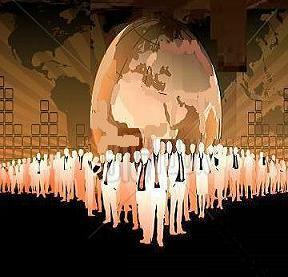 However, it is true that if “surplus humans” is interpreted in terms of too many of us chasing too few jobs—as though the job shortage, rather than a surplus of us, were not the real problem, a quick armchair calculation suggests that, whatever the humans-job gap is currently, it’s only going to get bigger, as global population continues to approach, only to quickly surpass, 8 billion. In the absence of some really creative “fractal thinking”, this is likely to become a crisis, as both low-skill and high-skill jobs are increasingly and irreversibly lost to automation, robotics, artificial intelligence and operational downsizing and streamlining. From the opposite standpoint—and to complement the foregoing gloom-and-doom prophecy—it has also been argued that even if the lowest and highest-level jobs are protected from the encroachment of robotic and other human-replacing technologies, as performance of various “routine cognitive tasks”, e.g., payroll administration, travel bookings and some forms of teaching, becomes automated and displaces middle-level staff, that respite will be only temporary. As automation and robotics march forward, everybody will get stomped—at least economically, or so it seems. So, anyone who wants to see the economic glass as a population glass that is and will increasingly become too full instead of a jobs glass that is half empty can argue that there are surplus humans in this relative supply-and-demand sense. On this interpretation, even the vanishing “middle class” or what remains of it is likely to join the ranks of surplus humans. As for what will be left of the “middle class”, what will happen to those among them who, when forced to muddle through and scramble up and down the available career and jobs ladder, join the ranks of the unemployable or unemployed surplus? What is To Become of Homo Surplus? Then, of course, there are all those humans who, because of age, are no longer or not yet on that ladder, or who, for other reasons, are not currently or likely to be in the job market. So, what is to become of all those economically surplus humans? What can be done to eliminate the surplus-problem, if not the surplus people, apart from cannibalism; culling the herd; voluntary euthanasia incentives—such as cash grants for surviving beneficiaries; conquering and colonizing other planets, countries or populations? Just as important to ask is what can be done that doesn’t create bad or even worse problems, e.g., a catastrophic contraction of consumer demand or descent into barbarism? In part 2, “How to Employ and Cope with ‘Surplus’ Humans”, some possibilities will be presented for your consideration. …if you have surplus time you can spare for that.